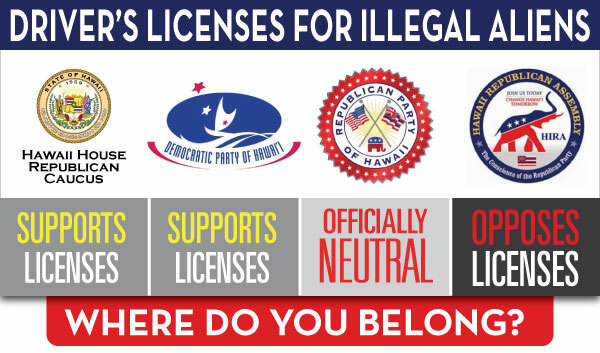 In light of the terrible decision by all seven GOP legislators in the Hawaii State House to grant driver's licenses to tens of thousands of illegal aliens here in the islands, New Mexico Prosecutor-turned-Governor and recent keynote speaker to the Hawaii Republican Party Susana Martinez has tough words for liberal politicians who support the "dangerous" path of issuing driver's licenses to illegal aliens. Martinez was elected after hard-fought primary and general election campaign in 2010 during which the driver's license issue was front and center in her campaign . Re-elected two years ago, repealing the 2003 law that allows for those licenses has been a top priority for Republican Gov. 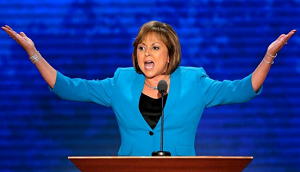 Susana Martinez since she was elected and has even been made a campaign issue in legislative races. "For years, I've been fighting to repeal the dangerous law that gives driver's licenses to illegal immigrants. Unfortunately, it's been blocked at every turn. it's time that we finally repeal this dangerous law that gives driver's licenses to illegal immigrants!" 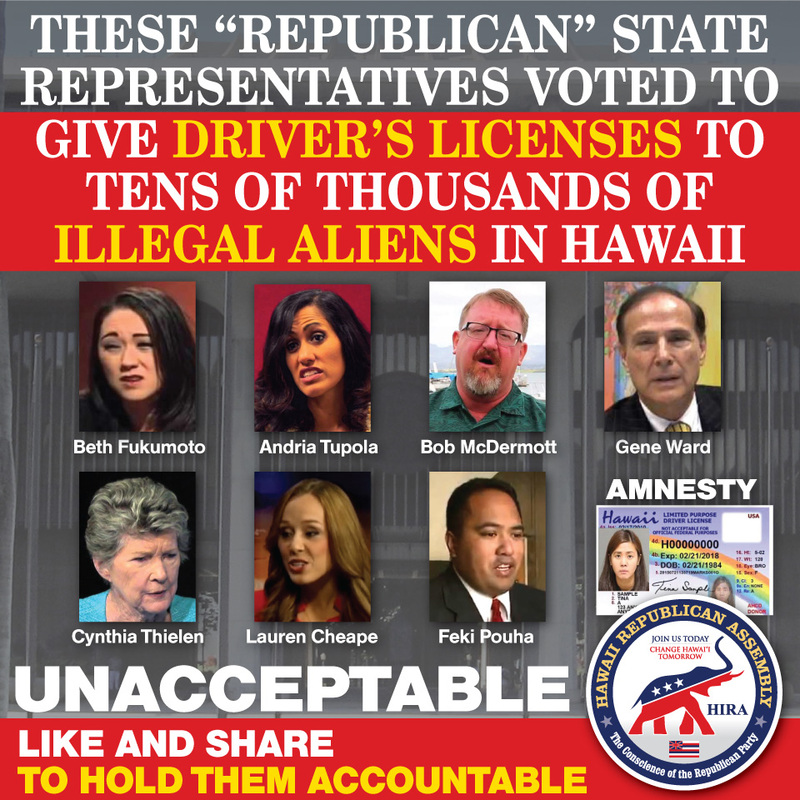 Now, despite her advice to Republicans in Hawaii, all seven GOP members in the State House supported doing the exact opposite: voting FOR a law which aims to provide more than 40,000+ driver's licenses to illegal aliens; people who shouldn't be in the country and who cannot legally hold jobs here, cannot legally reside here or travel on our roads and highways. We don't even know the criminal history of these people. All that clerks at the DMV review is a utility bill provided by the illegal alien as identification. That's it. No vetting. No background check. Contrary to the weak, utopian claims made by GOP leader Beth Fukumoto about illegal aliens being 'more inclined to purchase insurance' or to 'drive safer if they could only get licenses,' the New Mexico Sheriffs Association and the Fraternal Order of Police support repeal of the law, because they don't believe it has made streets ANY safer or lowered the incidence of uninsured drivers at all. 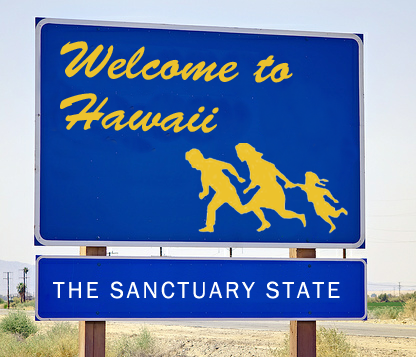 Hawaii Republicans should heed the advice of a governor who is on the front lines of fighting illegal immigration: They should fight to REPEAL the law before it's too late.